At Lyndhurst Primary School we aim to establish a sporting culture that enables and encourages all children to play and enjoy sport. We have established a number of after-school clubs for our pupils offering a wide variety of sporting opportunities for our children. We enter numerous school sport competitions to allow children to be competitive and are constantly developing our PE programme. The Government is providing funding of £150 million per annum for academic years 2014 - 2020 to improve provision of physical education (PE) and sport in primary schools. This funding will be allocated to primary school headteachers. Fund a Subject Specific post in school to lead Physical Education. Increase the skill level of staff in the delivery of quality P.E. teaching. 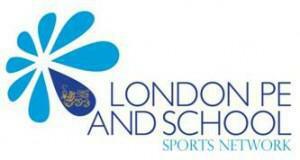 Increase participation in sport and PE by offering free after-school sports coaching. Extend after-school sports activities. We now offer a range of school clubs, accessed by children from Key Stages one and two. We have built capacity by employing sports coaches to work alongside our teachers. Develop a safe but active use of the playground at break times. Pay for sports coaches to help organize lunchtime tournaments and skill development opportunities in cricket, netball and football. Provide opportunities for children to compete. We feel it is important that children have the chance to represent their school and take part in competitive sport against other schools.